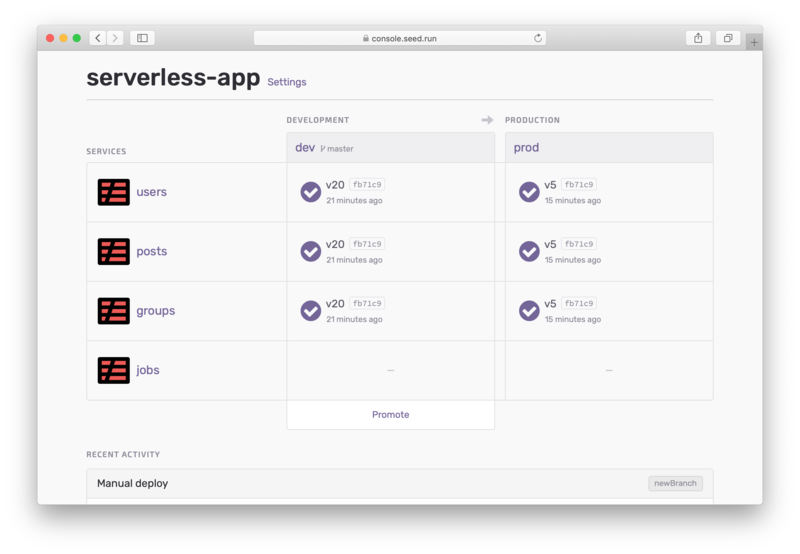 Seed supports mono-repo Serverless applications. This means that you can have multiple Serverless Framework projects (services) in the same repo. Once your app is created, you can add other services to it by hitting the Add a Service button in the app’s Settings. 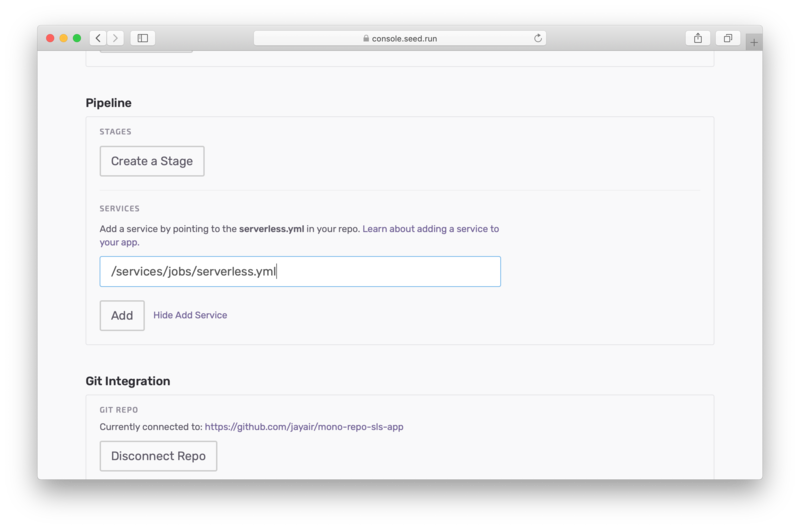 Here you can point to the serverless.yml of the service you want to add. Once Seed finds the file you can add the service. It will also auto-detect the name of the service from the serverless.yml file. You can change this later from the service settings. If you don’t have a serverless.yml for the service yet, you can still add the service anyway. Just make sure to add the file or change the path to it later. Once you add the service, you’ll notice that it’s deployed across all the stages that you have configured for your app. This means that a commit to master (for example), would trigger a build in the dev stage for all the services in the app. You can also trigger a build for a specific service in a stage by manually triggering a deploy for it.